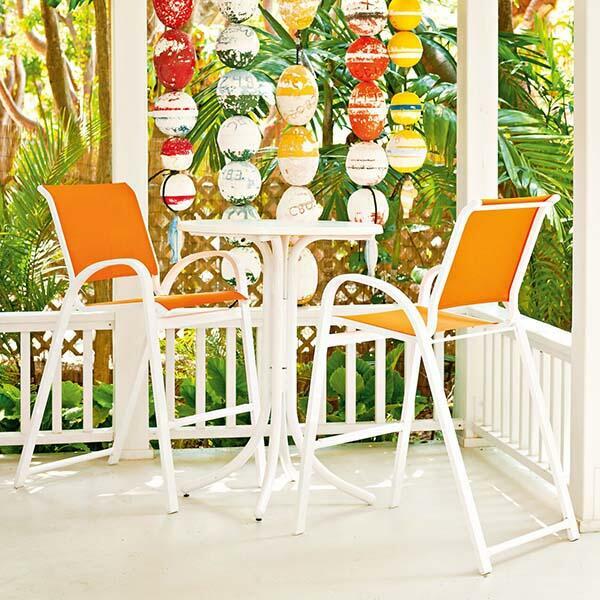 The Aruba II Bar Height Swivel Café Chair by Telescope is the ideal choice for any outdoor bar, whether it is in your backyard at the neighborhood association. The Aruba II is durable, weather-friendly, low maintenance, and an excellent value! Manufactured to Telescope’s exacting specifications, the Aruba II Bar Height Swivel Café Chair is rust-proof aluminum which is finished with a thick, protective powder-coating. The all-weather sling is comfortable, quick-drying and easy to clean; it is also replaceable if the need should ever arise. A smooth swivel mechanism adds to the convenience and comfort. Don’t need a swivel stool? 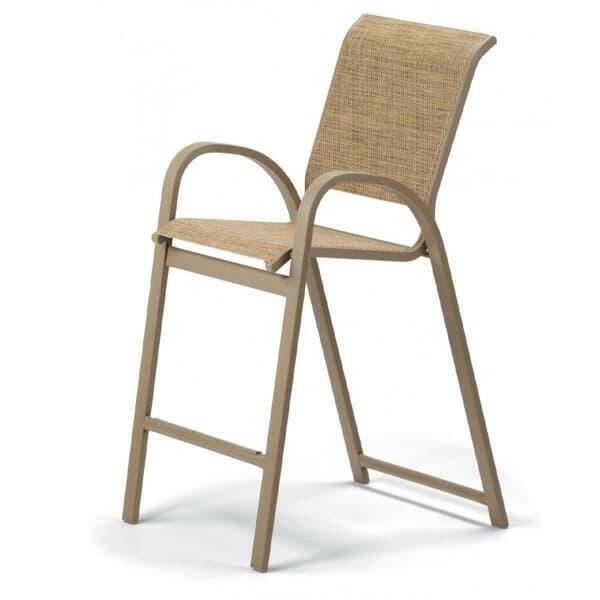 The Aruba II Bar Height Café Chair comes in a stationary, stackable version as well. Choose your favorite from one of Telescope’s 11 fabulous finishes!